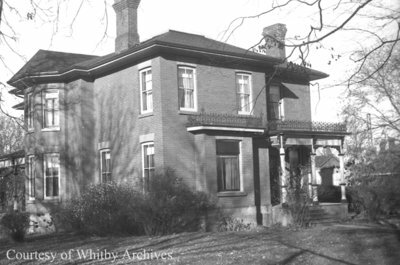 A black and white negative of St. Andrew's Presbyterian Manse. St. Andrew's Presbyterian Manse, November 14, 1939, Marjorie Ruddy. Whitby Archives A2013_040_687D.